In celebration of Gladys' 5th birthday, I decided to make a pinata since we will be inviting friends to the chalet. 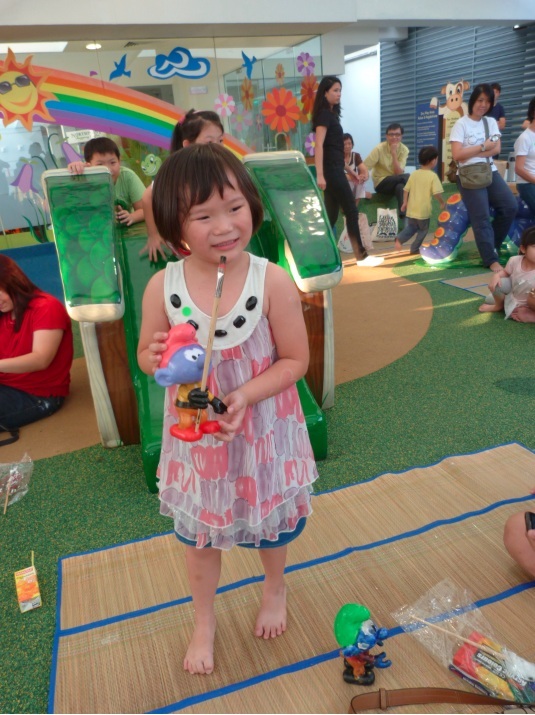 There will be a lot of children and it will be a fun activity for all to play. 1) Blow up your balloon to the size that you wanted. (You can choose a big or small balloon depending on your design/needs). 2) Place your balloon in a bowl so that it will not move around as you are sticking the paper on it. 4) In another bowl/container, mix 1 part of flour and 2 parts of water together to make the paper mache glue. 5) Dip the newspaper strips one at a time into the glue mixture. 6) Use your fingers or the side of the bowl to remove the excess glue mixture off from the newspaper. 7) Apply the newspaper strip to the balloon. 8) Cover the balloon with one layer of newspaper, leaving a hole on the end uncovered. Let the balloon dry for a few hours or overnight, and then add another layer of paper mache. 9) Repeat this process until you have covered the balloon with at least three layers of paper. *Note: Since this is my first attempt to make a pinata, I wasn't sure how many layers of paper to put. The more layers you add, the harder the pinata and it will be difficult for the children to smash it later on. As an experiment, I made one with 3 layers and the other with 4 layers. 10) Pop the balloon when the paper mache has dry up. Poke 2 holes at the top of the pinata. Run a string through the holes later on so that the pinata can be hang. 11) Decorate your Pinata! Basically you can decorate it with crepe paper by gluing strips of colourful crepe paper around the pinata. 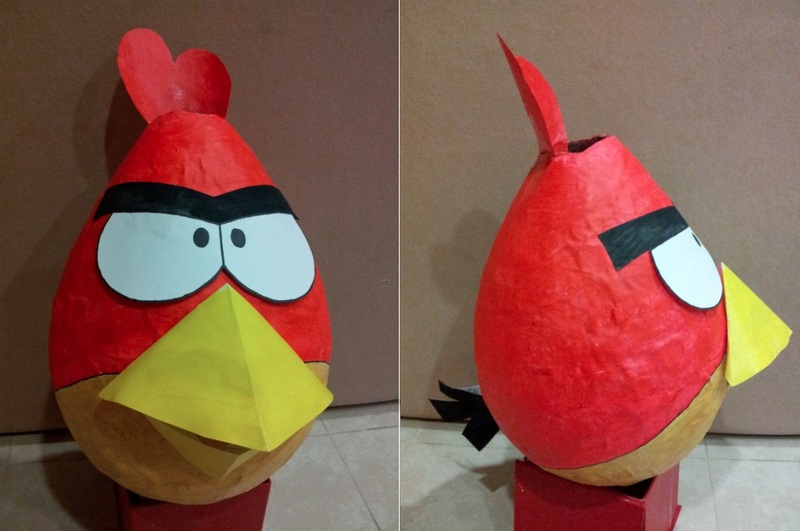 I decided to make an Angry bird theme pinata and hence I did a rough sketch and painted my pinata with acrylic paints. Acrylic paints is recommended as it dries up faster and gives it a shiny, glossy look compared to the normal pastel paints. I cut out the shapes for the eyesbrows, eyes, beak and tail from a paper and painted it. 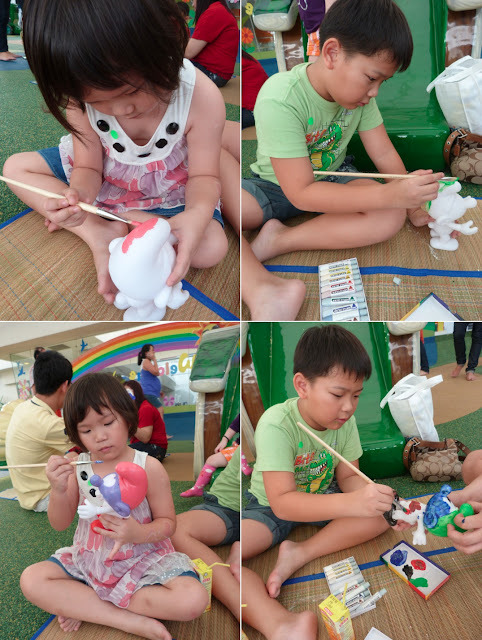 Then, they are glued to the pinata to give it a finishing touch. Instead of one, I made 2 Angry bird pinatas following the same procedures. Since it was meant to be a surprise, I stayed up after the children have slept to work on this project. 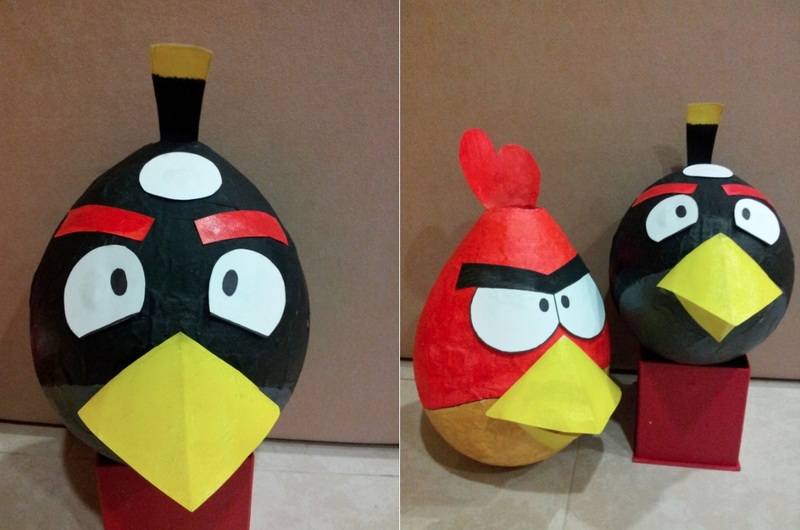 After two sleepless nights of hard work, the Angry Bird Pinatas are born! It was my first attempt making a pinata and I think I did a pretty good job! ^_^ With that, you can put the candies and stuffings into the pinatas and bring it to the party! It's that time of the year.... Preparation of goodie bags for our little girl to give to her classmates in school. 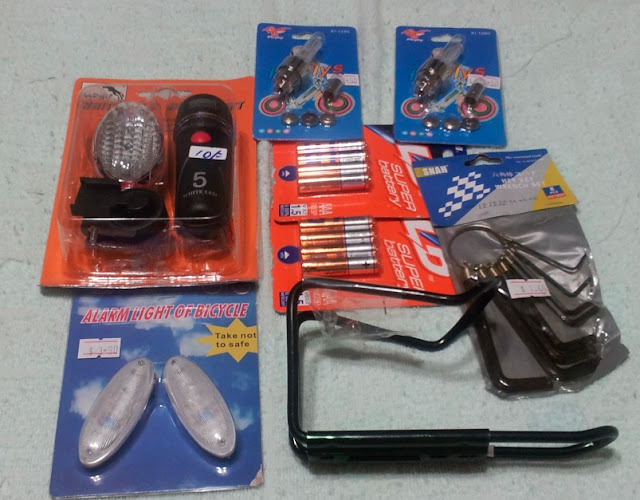 Unlike the previous years where Hubby and I spent more time buying miscellaneous items and packing everything together. It's always a struggle to think of what to buy and put them in the bags (especially the type of snacks and sweets). 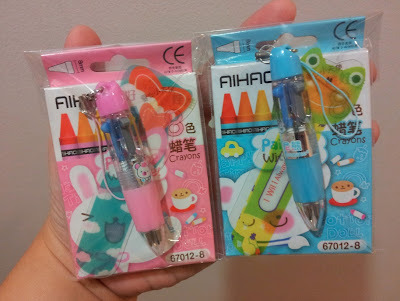 This year, we decided to try and find pre-packed goodie bags for the first time. There are a couple of goodie bags selection available on the website with various price range that parents can choose from. We picked one set (comes in blue or pink) and ordered the amount required online. Hubby picked up the items directly to avoid delivery charges and everything is done swiftly without much hassle. 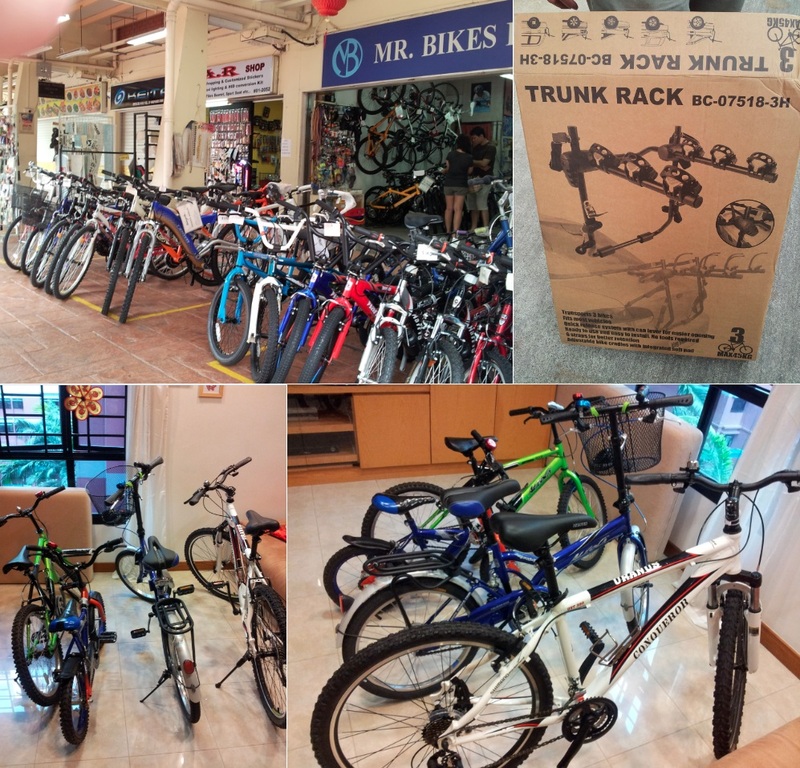 Mid-Autumn Festival is just two days away. During this period, we will see parents and children carry assorted lanterns of various designs and have a walk downstairs. 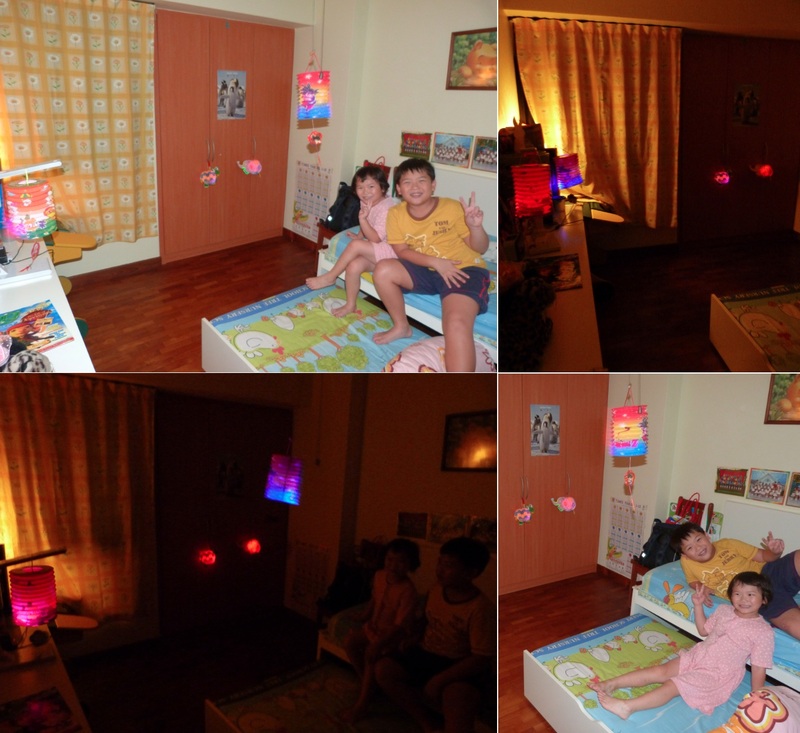 We also have some battery-operated lanterns and Mommy decided to use them to decorate the kiddos' room as their night lights. 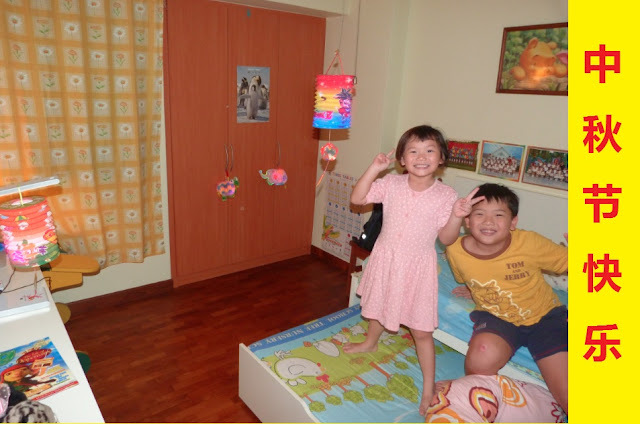 You can also use the lanterns to decorate the house or corridor to bring out the festive season mood. It definitely looked much prettier with the flashing lights and the children had fun playing before dozing off to dreamland. Enjoy this festive season with your family and have fun lantern-carrying and sampling delicious mooncakes. HAPPY MID-AUTUMN FESTIVAL 2011 to Everyone! I took a video of them singing and Gladys covered her ears as she doesn't want to be disturbed by Denver. ^_^ Cute! Daddy and Mommy helped them to hold the smurf, mix the colours and paint those difficult corners/edges while the kiddos paint. 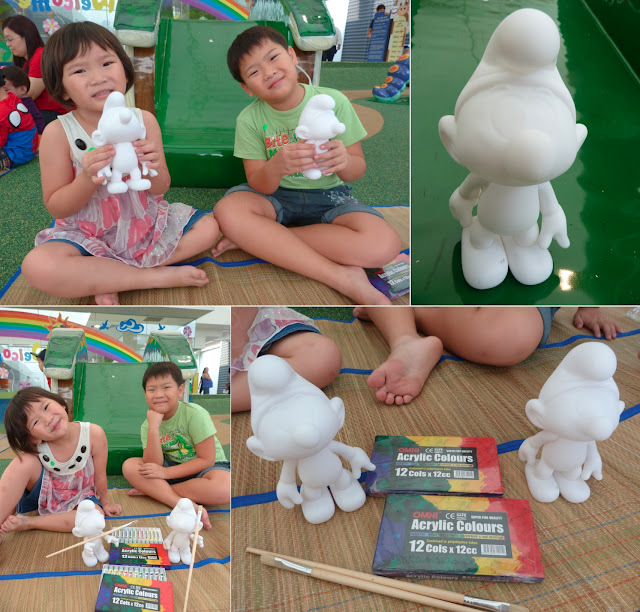 We have 30 minutes to complete painting our little smurfs and the top 5 smurfs who got the most cheer will win a prize. Time is short but we managed to complete it. 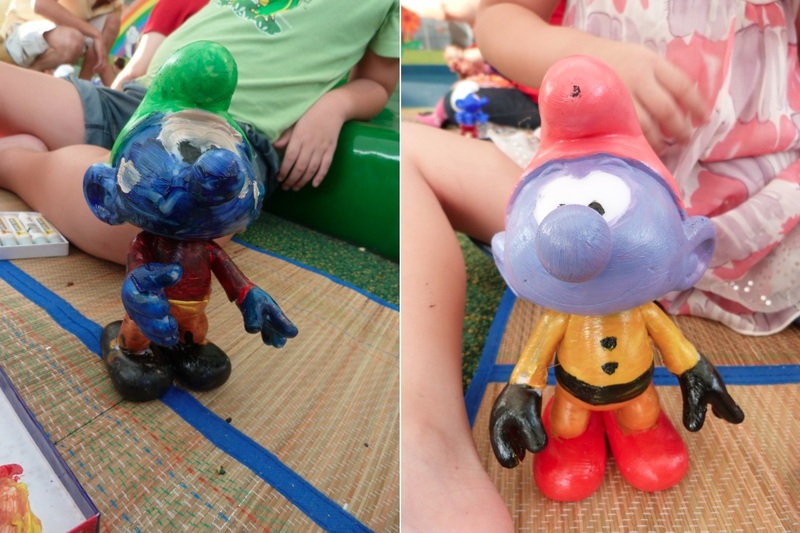 :) Denver named his smurf as "Messy" while Gladys likes her smurf as "Pretty". Now it's time for the verdict. Which smurf will get the most cheer? Gladys has been a good sport as she cheered for all the other smurfs loudly. For her great cheerleading effort and big-heart, her Pretty Smurf wins a Prize! ^_^ Denver also helped us won 4 tickets to watch The Smurfs movie! 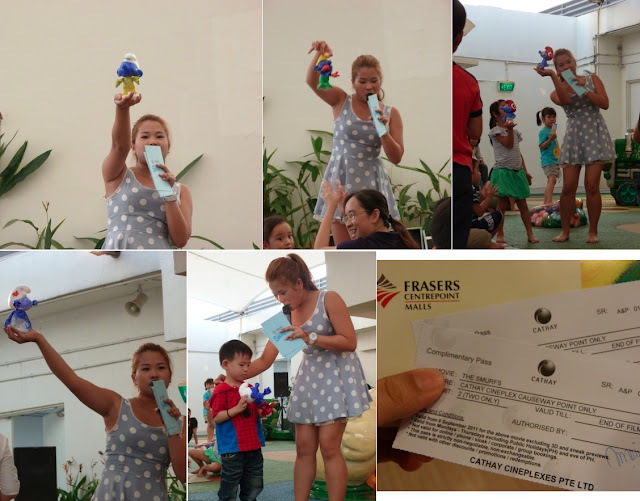 Each family gets to bring home a goodie bag consisting of a box of Oreo cookies, a complete set of Smurf magnets and a Smurf boardgame! We are really grateful and enjoyed the time together at the event. We love to eat and it is great and thoughtful of Hubby to celebrate my birthday with my 2 lovely children at Crystal Jade Korean BBQ! It is our first visit to the restaurant at Nex Mall and I love the food! 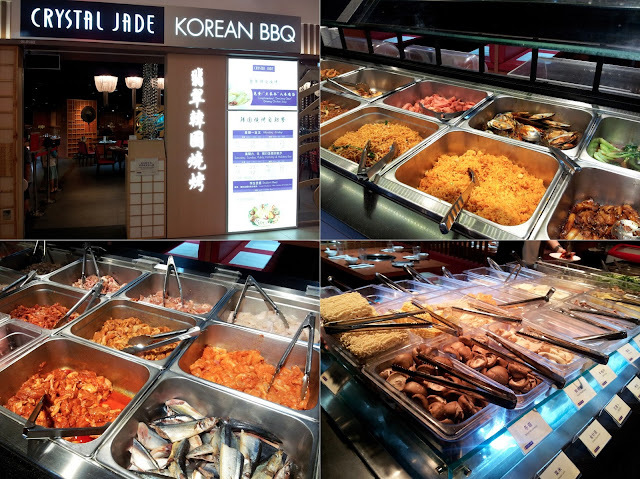 It has a good variety of raw meat, vegetables as well as cooked noodles, rice and food. On top of that, each of us was served with a free bowl of delicious chicken soup. Hubby and I had our tummies filled with lots and lots of beef but totally forgotten to wrap it with the vegetable and eat it in the Korean style. The children had ice-cream for desserts and it has been an enjoyable dinner together. 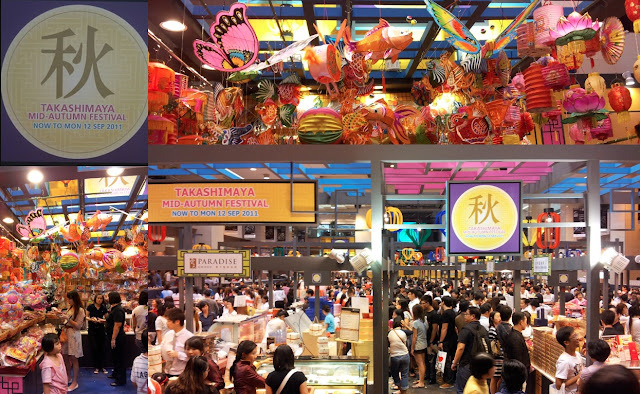 Mid-Autumn Festival is approaching and we can see beautiful lanterns and yummy mooncakes on sale in the neighbourhood stalls as well as shopping malls. Every year, Takashimaya will host a Mid-Autumn festival at Basement 2 (Takashimaya Square) where we indulge ourselves in all kinds and flavours of mooncakes. From durian, ice-cream, yam, champagne to the traditional red/white lotus with egg yolk. Apart from the sea of mooncakes, we also saw used toothpicks and spoons lying all over the ground. That is quite a lot of littering! While sampling, we should do our little part to throw the toothpicks in the containers or dustbin. There are so many options to choose from and just sampling through every stall not only makes our tummy full, it also makes us thirsty! 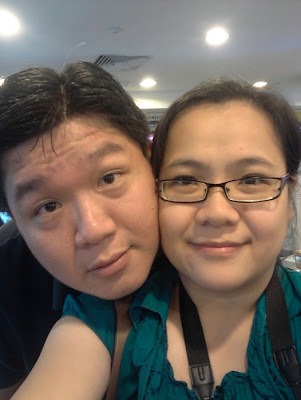 :) Eventually, we managed to buy 2 boxes of mooncakes without going back empty-handed.